Who were the ‘Forest Brothers’: The thorn in the Soviets’ side? The partisan movement still divides opinion today and continues to stoke tensions between Russia and the Baltic states. On July 11, NATO published a video dedicated to the Forest Brothers (a.k.a National Partisans). They were guerrillas who fought the Soviet authorities in the Baltic states after they became part of the USSR in 1940. The video shows several Forest Brothers veterans, who recall their struggle against “Soviet invaders” after WW2 was over. The film has not received a warm welcome from Russia’s Ministry of Foreign Affairs, with its press director - Maria Zakharova - claiming the video is an attempt to rewrite history while disregarding the outcome of the Nuremberg Trials. Zakharova outlined that the Forest Brothers included many Nazi SS officers and murdered thousands of civilians. For years, the story of the guerilla resistance has been a sticking point in relations between the Baltic states and Russia. “Forest Brothers” was first coined in the Baltic region during the 1905 Russian Revolution, when many Eastern Europeans fled to the woods to escape the Tsarist regime. The group reemerged in the summer of 1940, when three Baltic nations were incorporated into the Soviet Union. They vehemently opposed the communist ideology and the loss of their countries’ independence. Many bourgeoisie were forced to flee cities in Eastern Europe, taking refuge in the forest where they created small combat squads, containing anywhere from five to several dozen fighters. There was no nucleus of command, so each faction operated independently from one another - however, they were united in their common goal of opposing the Soviet Union in a bid to restore the independence of their home nations. Fighters lived in well-camouflaged dugouts deep in the forests. They attacked Soviet soldiers by ambushing them on roads, or in small villages and towns. The Forest Brothers avoided clashes with larger, well-armed squads from the Soviet Army. Instead they targeted communist party workers, small infantry units, and Soviet officials using a range of tactics from guerilla warfare to terrorism. The National Partisans intensified their fight against the Soviets when Germany invaded the USSR on June 22, 1941. During the first days of the Nazi offensive, Soviet forces were hampered by sporadic attacks from the Forest Brothers. During the German occupation of the Baltic states from 1941 to 1944, a number of guerrillas teamed up with the Nazis by joining the Wehrmacht. Subsequently several SS divisions counted Baltic nationals among their ranks. They committed many crimes while fighting on the German side, notably against Jewish people and Russians from the Pskov Region. But many of those who forged an alliance with the Nazis returned to the forest to rejoin the movement - stocked up with ammunition and weapons - after it became clear Germany was not going to restore independence to the their home countries. The movement was energized when Soviet troops started freeing territory in the Baltic republics in 1944, and the National Partisans continued their fight with renewed vigor. But this time, there were no small squads. They formed formed large, well-armed units, and were now warhardended and experienced due to the fact their ranks were beefed up with Wehrmacht and SS soldiers of Baltic origin who had been trapped in the Courland Pocket (the Red Army’s blockade of Axis forces on the Courland Peninsula). During 1944 to 1947, Soviet troops faced large formations of Baltic guerillas, often several thousand soldiers strong. Some of them, like the Lithuanian Freedom Army, had general staff, a united command, and even cadet schools. But they struggled to cope following regular clashes with larger and better-armed Soviet units. The single hope of the Forest Brothers who led the fight in the post-war Baltic region was that the Cold War between the USSR and The Allies transformed into a so-called hot war. Many of them held permanent contacts with the foreign western intelligence services. Yet the Cold War never boiled over into open conflict, and the movement went to decline. Squads became more like bandit gangs and lost the vital support of the locals. Undercover Soviet intelligence officers managed to infiltrate the ranks of the Forest Brothers, which had a significant impact on the movement’s numbers. The last squads of Forest Brothers were terminated in 1969. For a long time in the Soviet Union the partisan movement was either ignored or viewed negatively, as in Arvids Grigulis’ novel When Rain and Wind Rap at the Window (1965). The first attempt to depict the Forest Brothers in an impartial light was made in 1966 (despite Soviet censorship), when the Lithuanian movie Nobody Wanted to Die was released. There fight between the communists and national partisans is shown not as a clash between good and evil, but as a national tragedy - when society is split and brothers are forced to fight brothers. Long Way in the Dunes (1980) is another example of Soviet cinema depicting the Forest Brothers differently. Here the guerrillas are shown as common people who love their country, and subsequently choose to fight for it. The movement still polarizes history buffs. 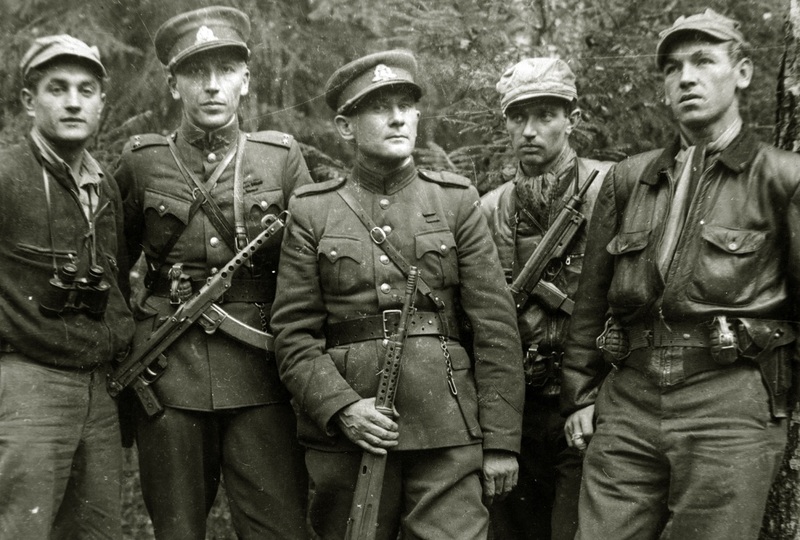 According to the Latvian historian Arturs Zvinklis, there were different types of combatants in the ranks of the national partisans: Both criminals and ideological fighters. “There were people who believed they were fighting for Latvian independence against the occupation forces,” he said. Historian Igor Gusev doesn’t agree. He suggests there was absolutely nothing heroic about the Forest Brothers. “I know many occasions, when common farmers were shot, young female communists were raped, shops were robbed. When usual banditry is presented as ‘a struggle against a totalitarian regime,’ an honest man will feel only disgust”, he said. The current official view on the National Partisans in Latvia, Lithuania, and Estonia is totally different from the Russian one. If in the Baltic countries they are seen mainly as heroes and freedom fighters, in Russia and Belarus the Forest Fighters are traitors, collaborates, fascists, and war criminals. The truth is, however, somewhere in between.